Missouri will face Oklahoma State in the Cotton Bowl on Jan. 3 at AT&T Stadium in Arlington, Texas. Among of the perks of playing in a bowl game is that each player gets some great gifts. 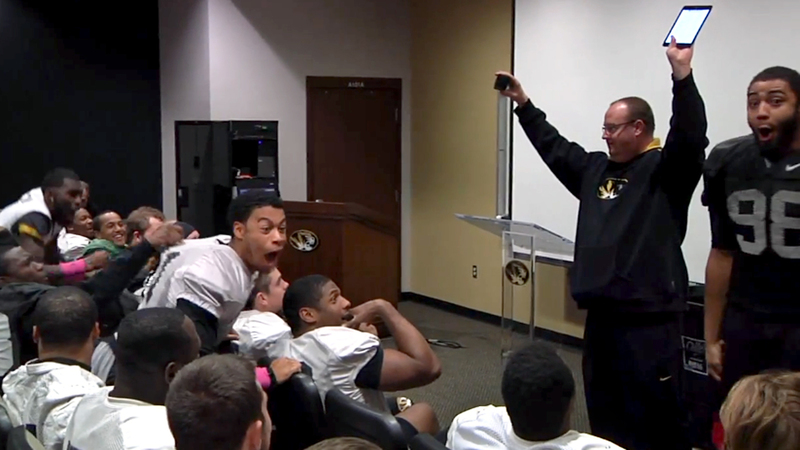 On Wednesday we found a video of Missouri players being shown their presents. Were they excited about them. No. They WERE PUMPED UP about them. You’re going to want to watch the players go crazy as each gift is revealed. While some were excited about shirts, sweatpants and shoes, the whole place went berserk when an Apple TV and iPad Mini were presented.